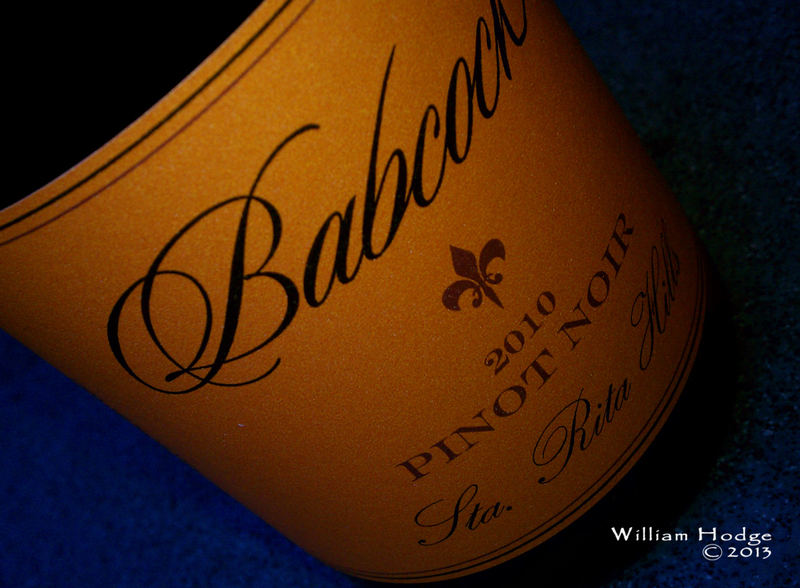 Looking through the wine cache for a light red bottle of wine to go with pizza, we chanced upon a 2010 Babcock Santa Rita Hills Pinot Noir. Since we could not remember the journey attached to this bottle of wine, we weren’t worried about price. After all, it was just for pizza. So we uncorked it, finding a treasure chest of beautiful aroma and taste we hardly expected. Now if you’re like us, Pinot Noir is not the first wine for which we’ll reach. We are Zinners primarily but enjoy all of the fine red wines produced in California. In our world we call Pinot Noir ‘The Bridge’ between two distinct worlds of wine aficionados, those who drink reds vs. those drinking whites. While drinking Pinot Noir, we sometimes feel like they can be a little light. However, it’s the number one selling varietal in the country. It’s a beverage both white wine drinkers may enjoy, and red wine drinkers enjoy as well. This bottle was anything but light, and had everything we relish in a bottle of red wine. With the treasure chest of aroma and savored cherry fruit and mocha in that bottle, we knew we must find the birth place of this bottled treasure. 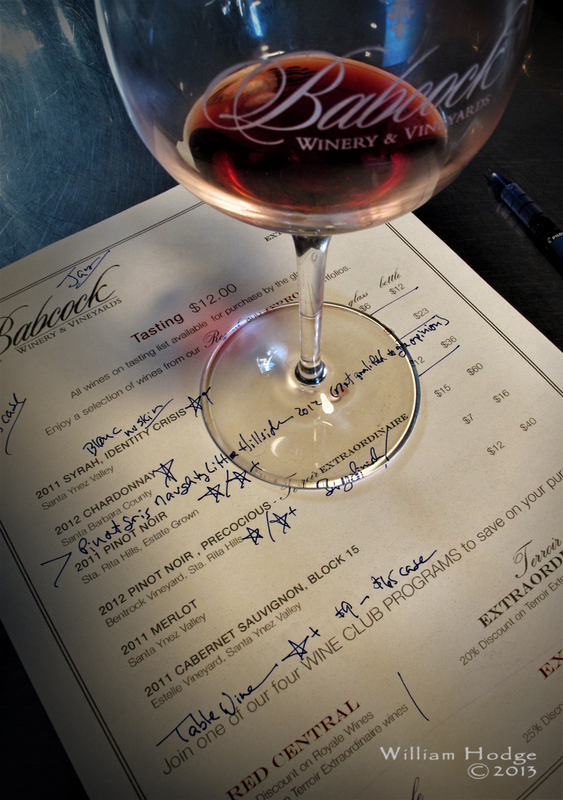 Via the web, we reacquainted ourselves with the winery and now remember our visit to to Babcock Winery in the Santa Rita Hills area of Santa Barbara County. At the time of our last visit (over two years ago) it was a very small tasting room and they’ve expanded and created a large expansive area dedicated to their wines. We recently visited again and sampled their wines. We enjoyed their nonvintage red table wine (a great $9 value) and its label. It stands out from all of their other more elegant labels since it was drawn by one of winemaker Bryan Babcock‘s children. It was also a great taste and a better deal by the case, which we brought home. We’ll finish up this entry with the winemaker’s quote from his web site, BabcockWinery.com, that gives you a sense of the journey leading to the bottle of wine we enjoyed so much. We’re glad to have reacquainted ourselves with Bryan’s wine and appreciate the fruits of his work, a fine wine we thoroughly enjoyed. Oh, we almost forgot the price of the wine we had with our pizza! The 2011 Santa Rita Hills Pinot Noir sells for $36 at the winery. You’ll find Total Wine sells his Rita’s Earth Chardonnay for $15.99. 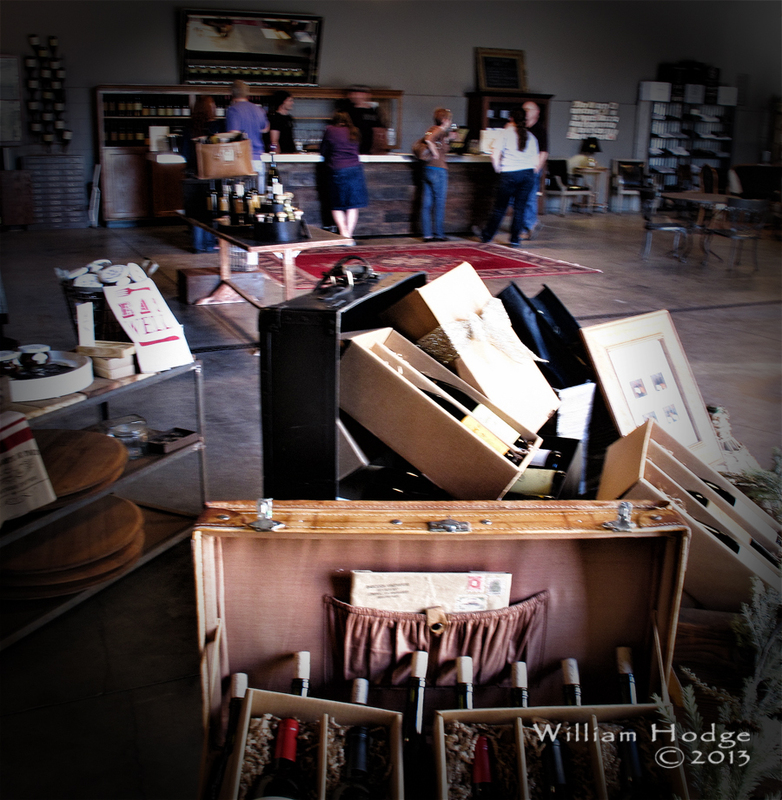 This entry was posted in California Wineries - New World Wines, Pinot, The Pleasures of Tasting Wine and tagged bottle of wine, california, lompoc, paso robles, pinot, santa rita hills, wine, wine tasting room, winemaker.